June 2, 2016 – World View, pioneers of the stratosphere, are collaborating with Ball Aerospace to explore World View’s Stratollite platform for remote sensing applications. Ball Aerospace and World View are working together to explore the feasibility of a commercial capability to perform persistent remote sensing from the Stratollite platform. The collaboration will culminate with World View performing a long-duration, persistent Stratollite flight to demonstrate remote sensing capabilities for commercial applications. 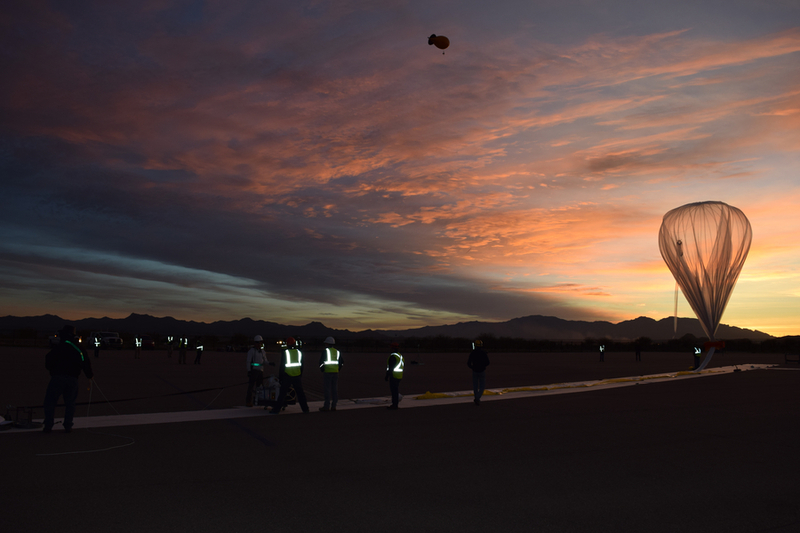 World View recently introduced a new category of above-earth vehicles called Stratollites, which are high-tech balloons that offer long-duration, persistent flight above specific geographical areas of interest. Stratollites, as the names suggests, operate in the stratosphere and can directionally navigate and even loiter above specific areas of interest for long periods of time (days, weeks, and eventually months on end.) Stratollites utilize a proprietary method of altitude-control to channel directional wind patterns at various altitudes. Stratollites enable a wide range of long-duration flight services, including loitering above a specific geographical area of interest, Waypoint Navigation (following a pre-determined navigational flight plan), and even complete circumnavigation of the globe. Similar to a geostationary satellite, Stratollites will offer persistent, long-duration flight capabilities, but at a fraction of the cost of traditional satellite and UAV-based methods. This allows for more sustained measurements and monitoring capabilities over a targeted geographical area. Stratollites can carry a wide variety of sensors and payloads that can sample across the electromagnetic spectrum or enable communications solutions. And unlike other technologies that require ideal conditions for launch, Stratollites can launch rapidly on demand, and safely return payloads back to earth after mission completion. “Ball is excited to be working with World View to explore the use of their platform for remote sensing, and the potential to open up new markets for both companies,” said Debra Facktor Lepore, VP/GM of Strategic Operations at Ball Aerospace.